The effects of altitude can take a toll on your skin. Customized skin care for dry, oily, combination, and mature skin is available with Missy Bishop at Stay Tuned Therapeutics. Missy has been practicing therapeutic skin care for over 18 years and is also a licensed massage therapist. She offers a variety of facials along with massage, pedicures, waxing, and body treatments. Phytoceane products are used in treatments and available for retail. Products whose primary aim is effectiveness. An holistic approach dedicated to well-being and relaxation. Missy worked in spas for over nine years. Now in her own practice she customizes her treatments for clients in a setting that is conducive for relaxing. Missy is committed to providing the highest quality bodywork through continued education, and acknowledges the confidential nature of the professional relationship with clients and respects each client’s right to privacy. Lava Shells– are tiger-striped clam shells. The clams filter the nutrients they need from the sea water around them and they also filter CO2 out of the water, meaning more can be pulled from the atmosphere and into the ocean, so the clams are a natural reducer of greenhouse gases. 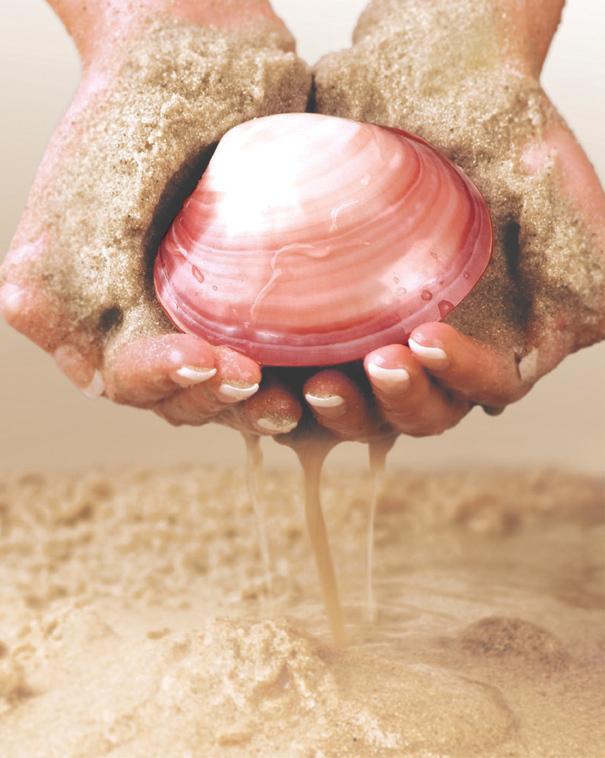 The shells are gathered and polished from food waste, and recycled into all-natural, earth-friendly massage tools. The heating element is a biodegradable combination of natural minerals and absorptive powders including dried kelp and sea algae along with purified water, sodium chloride and pure essential oil. Perfectsense Paraffin–are predisposed with the ideal amount of physiotherapeutic, spa-grade paraffin for soothing coverage and unmatched quality. Each treatment is secured with a tamper-evident, sanitary seal. It heats naturally with food-grade minerals, salt water and pure essential oils. This system uses no electricity, batteries or microwaves, and is all-natural, has no preservatives and is not tested on animals. Because it uses an occluse mask the permeability of molecules into the skin is increased. It prevents loss of water and directly increases hydration levels up to 5o %. A well hydrated stratum corneum is up to ten times more permeable than when it is dry. Missy customizes each facial to fit the needs of the client. The facials involve cleansing, steaming, massage, manual extractions (if needed), toning, mask, and moisturizer. During the facial the client will experience warm stones placed in the hands and along some chakra areas, and the use of hot towels. Also depending on the type of facial and needs of client Missy will massage during the masking stage so you are never left alone during your treatment. If you would like to further enhance your facial experience there are add on treatments that can be included during your facial. This treatment is great after a long weekend in the canyon, a day on the mountain, or to combat the daily stresses. Customize your own facial or choose one from our menu. A skin care treatment with the nutritive properties of the ocean along with a natural warm shell massage. Bath your hands and feet in paraffin while you’re lying back on self heating mud. All while having the needs of your skin taken care of. The perfect solution to keeping your skin tuned up. A Facial, Pedicure combination. Leave with your face refreshed and your toes polished. Enjoy a relaxing pedicure by reclining back on the massage table. Missy exfoliates, manicures and massages the feet, and finishes with hot towels and moisturizer in addition to your choice of polish. A systematic way to bring your body into balance through your feet using specific points that correspond to every area of your body. In an hour session every system of your body will be worked on. A soy based hair removal system, the soy allows our product to adhere to the hair rather than the skin and the hair. This allows you to get ‘cleaned up’ with less pain and irritation. Hair removal in this manner lessens hair re-growth and ingrown hairs! Price dependent on area.